Stuck in a narrow trading range since mid-August, shareholders are in a wait-and-see mode with Gilead Sciences (NASDAQ:GILD). Yet value investors will be all over this inexpensive stock today. The stock trades at a forward price-to-earnings ratio of 11.9 times. The company also is competing in the generic drug market space for medicines treating hepatitis C, is finding success developing a number of new products, and is not getting left behind in the stock market as the biotechnology sector rebounds. To get better acquainted with this value play, investors should start first by looking at Gilead’s second-quarter results, which were posted on July 25. In the months prior to the report, the stock climbed steadily higher, topping out around the $78 level. Sales may have slowed but management is on the right track, steering the company in the right direction. There are five reasons to buy Gilead stock today. Gilead reported revenue dropping 20.9% to $5.65 billion. Product sales fell 21.4% to $5.54 billion. Odefsey, with sales of $385 million and up 49.2% Y/Y and Genvoya, with sales of $1.16 billion and up 35.4% Y/Y, were two bright spots for Gilead. Conversely, Harvoni sales fell 76% to $331 million. Net income fell 40.9% to $1.82 billion. These declining numbers scared off investors, but the company maintained its product sales guidance of $20 billion-$21 billion for 2018. This quarter and year could be Gilead’s inflection point. From here, the company is set to reverse the decline in sales for 2019. On Sept. 11, Gilead stock reported, along with its collaboration partner Galapagos NV, positive results for its Phase 3 clinical trial called FINCH 2. This study looks at JAK1 inhibitor filgotinib in patients suffering from RA (moderate-to-severe active rheumatoid arthritis). At the end of 12 weeks, a statistically significant portion of the subjects exhibited a 20% improvement in RA symptoms compared to the placebo. These results set Gilead stock up for launching a blockbuster drug. The results suggest filgotinib will compete well against the alternative treatments. This includes upadacitinib that AbbVie (NYSE: ABBV) is studying for RA treatment. Filgotinib is also a leading contender for treating Crohn’s disease. If this oral drug reaches the market, Gilead could enjoy a $10 billion Crohn market by 2025. Getting back to the drug’s potential for the RA market, the safety profile and efficacy looks good. Investors should applaud the company for its solid results. In August, China National Drug Administration approved Gilead’s Genvoya, a drug that treats HIV-1 infection. The product is the first TAF-based single tablet regimen. Conversely, the drug, which is prescribed for hepatitis B, has a boxed warning in the U.S.
China is a massive market opportunity for Genvoya. In 2015, China was estimated to have between 430,000 to 1.5 million people infected with HIV. There is no data available detailing the number of people who died from AIDS-related illnesses. China faces 115,000 new HIV infections annually. Genvoya could easily earn Gilead billions in sales annually at its peak. For now, investors must expect a slow but steady ramp-up of sales in the region. On Sept. 24, Gilead said that its subsidiary, Asegua Therapeutics LLC, will launch a generic version of Epclusa and Harvoni. The new, lower, pricing will let the company compete for a bigger portion of the market. Medicaid patients who do not have discounts and rebates in their programs will now have access to the drug. Harvoni’s revenue is already on the decline, but selling a cheaper version of it could increase volume sales. This will ultimately lift revenues. In its press release, Gilead said patients could save up to $2,500 in out-of-pocket costs per course of therapy. The authorized generic for the two drugs will launch at a list price of $24,000. The therapy will be available starting in January 2019. Gilead is also looking for innovative collaborations and long-term financing models, like a subscription model, that would further widen the total addressable market. Of course, prices will fall but the market increases. The net result is an increase in sales volumes and a lift in revenue. The P/E multiples are not the only characterization in Gilead stock trading cheaply on the markets. Wall Street analysts have, on average, an $89 price target, as Tipranks reports. This is an upside of 14%. Looking at future cash flow is one way to value GILD stock. From simplywall.st, the stock would have a value below the recent closing price. Investors could crunch the numbers and arrive at a fair value in the same range as Wall Street. According to finbox.io, a 5Y DCF Growth Exit model would value GILD stock at around $94. A 10Y DCF Revenue Exit model pegs the stock at a $92 valuation. A 10Y DCF Growth Exit model would probably give a good estimate on Gilead’s future value. The 10-year time frame would give the company the time it needs in growing revenue with the new products in its pipeline. In this case, the stock would have a fair value of $95, assuming flat to positive growth in the next decade and EBITDA as a percentage of revenue at above 60% in that same period. 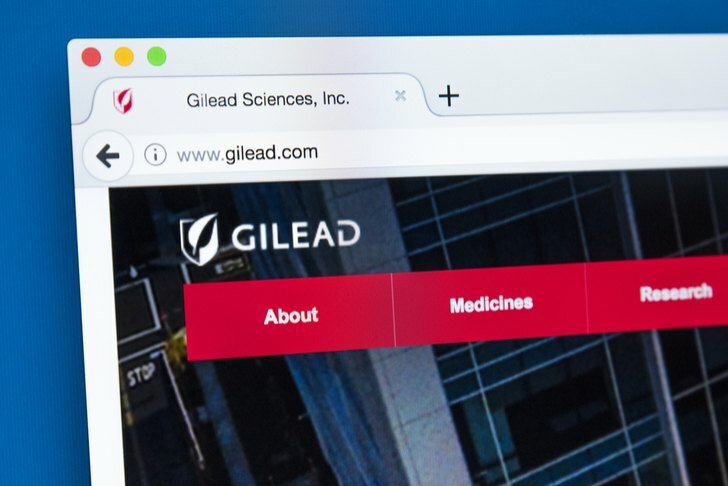 Article printed from InvestorPlace Media, https://investorplace.com/2018/10/5-reasons-to-buy-gilead-stock-today/.